We are proud to announce the famous Hafralonsa will be under Hreggnasi´s management from the summer of 2018. Most of our customer´s are familiar with the progress we have made with the next neighbor, Svalbardsa, and we look at our work there as a role model for the years to come on this mighty river. Hafralonsa is the large sister of the Svalbardsa. 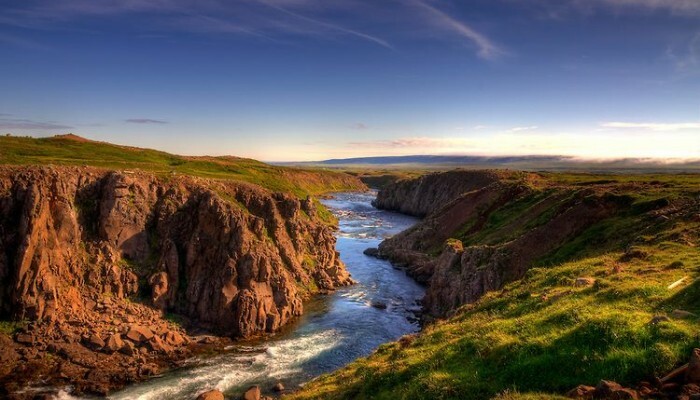 It is one of the most powerful rivers on the north/east corner, about 630 km distance from Reykjavik. The river is about 24 km long with 55 marked pool, and is fished with 4 rods. Famous for large salmon and beautiful and remote nature, this is truly a gem amongst Icelandic salmon rivers.